Fred Gwynne was a popular character actor who used his rich baritone to great effect in many roles, including Officer Francis Muldoon in Car 54 Where Are You? and Herman Munster. He also appeared in Broadway musicals. 09/29/1977 0717 The Solitary The story of an unlikely friendship between a prisoner and the security officer. The prisoner is hated and tortured by another guard regularly and the warden tries to find a way to resolve the conflict. 01/20/1981 1150 The Fountain Of Truth Behind Ponce de Leon's journey to discover the Fountain of Youth in Florida lies another treasure-hunting quest for lost, ancient gold. 07/24/1981 1225 Once a Thief A young punk exacts revenge against the detective that had him arrested years before by having him fired. However, former cop turned security consultant has devised the perfect plan for payback. I always loved when Fred Gwynne made an appearance on CBSRMT. Something about his voice was very satisfying, and he was an excellent actor. Thankfully he was a FREQUENT worker, and we have alot of great stuff to enjoy. I always enjoyed when Fred Gwynne was on CBSRMT. To me, Gwynne and E. G. Marshall were the two keystones of CBSRMT. Without either one, it just would not have been the same. I was barely 16 when CBSRMT returned to radio, and I enjoyed listening to the shows each night before I went to sleep. The shows were always relaxing. He was always great, but "The Slave" and "Confession" are wonderful examples of Fred Gwynne at his best. Plays men I would not want to mess with in those episodes. Fred Gwynne is one of the finest actors to ever be on CBSRMT. An awesome talent! My favorite actor is Fred Gwynne. He doesn't have much voice range in terms of characters but he was still able to carry the character all the way through. Unrelated to CBSRMT, one of my fav Fred Gwynne characters was his last movie. He played the judge in "My Cousin Vinny" opposite Joe Pesci. Fred Gwynne was one of the best actors on CBSRMT. An amazing and versatile talent! Fred Gwynne is one of the most underrated actors of all time. He has a way of understating his roles that is downright scary. He IS the character he plays, a character you might meet every day. A Very Private Miracle, just listened to it for the first time this past week. Missed many episodes as I was in the military during most of its airings. Enjoying them just as much as I did while I was in High School. AWESOME!!! Fred Gwynne is one of the finest actors and my favorite actor. Can someone help me locate a Gwynne episode? Sadly, here's all I recall from Act 1: Gwynne and wife hear a knock at the door one evening. They answer, and all they find is a package of some sort on their porch... Wish I could remember more... Any clue, anyone? Episode 0412, "The Man Who Corrupted Hadleyberg" is a is adapted from a Mark Twain story. I think you mean the "The Man who corrupted Hadleyburg"
I'm hoping someone can help me locate an episode that i remember hearing from many years ago. I seem to remember Fred Gwynne playing a simple minded country boy who becomes infatuated with a city woman renting a cabin in the woods. Fred's character watches her from afar and begins to become concerned that she is in danger from an unseen man. Tension builds until she is attacked and the police are called out. Fred's character is horrified by all of the events transpiring and in the end it is revealed that Fred himself was the unseen man attacking the city woman. I really hope someone remembers this episode because I don't see anything like it in this list. Possibly it was for another radio show. Tomorrow is Fred Gwynne's birthday. If he were still living he would be 92 years old. As I'm sure fans of CBSRMT already know, he was a versatile character actor. One of my favorite actors from the series. But of course I first knew him as Herman Munster. But he was also a musician, a writer, and a talented visual artist. A true renaissance man! I loved Fred on the show. He always turned in a great performance. Frederick Hubbard Gwynne (July 10, 1926 – July 2, 1993) was an American actor, artist, and author. Gwynne was best known for his roles in the 1960s sitcoms Car 54, Where Are You? and The Munsters, as well as his later roles in The Cotton Club, Pet Sematary and My Cousin Vinny. 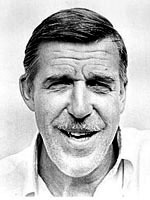 During World War II, Fred Gwynne served in the United States Navy, as a radioman on a submarine chaser. He later studied art under the G.I. Bill before attending Harvard, where he was affiliated with Adams House, graduating in 1951. He was a member of the Fly Club, sang with the a cappella group the Harvard Krokodiloes, was a cartoonist for the Harvard Lampoon (eventually becoming its president), and acted in the Hasty Pudding Theatricals shows. In 1954 he made his first cinematic appearance playing - in an uncredited role - the laconic character "Slim" in the Oscar-winning film On the Waterfront opposite Marlon Brando and Lee J. Cobb. Shortly afterward Phil Silvers sought him out for his television show because he had been impressed by Gwynne's comedic work in Mrs. McThing. Some of the films/tv shows he appeared in include On the Waterfront (1954), Car 54, Where Are You? (60 episodes, 1961–1963), The Munsters (72 episodes, 1964–1966), Dames at Sea (1971), Captains Courageous (1977), The Cotton Club (1984), The Boy Who Could Fly (1986) , Fatal Attraction (1987), and Pet Sematary (1989).